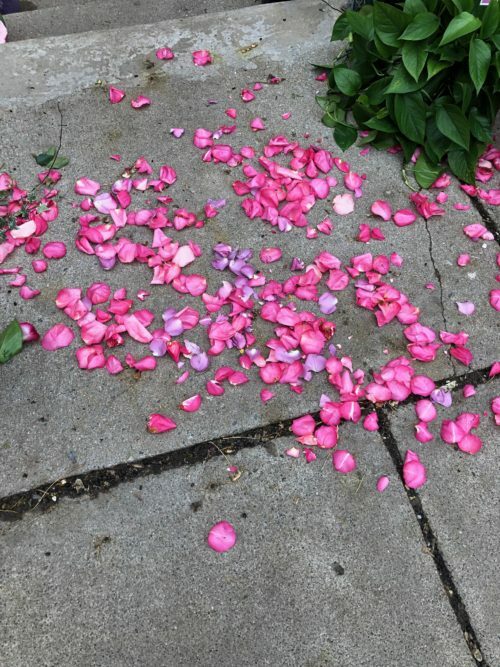 Yesterday, on the streets of Boston these petals were scattered outside a florist shop. I don’t think they were a mistake, I think they were an enticement. They were a little bit of color on a grey day. 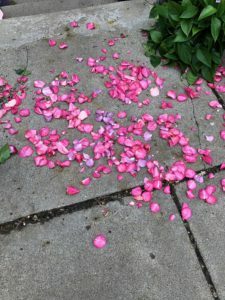 They were a little bit of beauty on a busy sidewalk. They were a little bit of joy. Last Sunday afternoon a group of folk from Arlington and beyond gathered on the Magnolia playground to reclaim the park for play and joy from hateful graffiti. As we talked about our hopes for a safe, accepting, and welcoming community kids rode scooters and ran and blew bubbles. It was a scattering of joy. 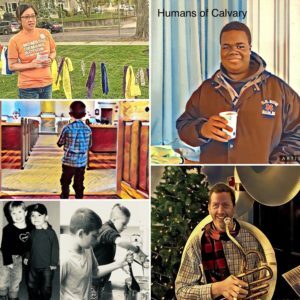 It doesn’t take much, this scattering of joy, of love, of hope, all it takes is a moment of intentionality, a smile, a nod, a shared moment of connection. Living the best of our faith is scattering things that bring life, that bring wholeness, that offer just a moment of grace in a grey world.